Nicotine Replacement Therapy (NRT), in the form of patches, inhalers, gum, nasal spray, lozenges or microtabs can be really helpful. Your GP, pharmacist or your local NHS Stop Smoking Service can help you choose the treatment that will be most effective for you. This is dependent on many factors, such as how many cigarettes you smoke or whether you light up first thing in the morning. NRTs are a temporary aid to help you through the tough initial withdrawal period. Some smoking cessations treatments, such as Bupropion Hydrochloride are available on prescription only. Cigarette withdrawal can also be aided with complementary therapies such as acupuncture, hypnosis and meditation. These can be used alone or in conjunction with NRT or other smoking cessation medications. Hypnosis has become known for its ability to change behaviours quickly by relaxing the mind enough to identify unconscious triggers. Acupuncture is a technique derived from traditional Chinese medicine that uses tiny needles to stimulate certain points on the body; for smokers, the idea is to help reduce cravings and ease withdrawal symptoms throughout the body. Meditation is intended to relax the body and refocus thoughts; it is claimed that meditation releases dopamine in the brain, a process similar to nicotine triggering, the relaxing feeling that smokers crave. If you are ready to quit, well done to you! Keep strong and motivated and enjoy a healthier and wealthier 2012! During the first half of the twentieth century, people started using cars more and doing less physical jobs. Food shortages during and after the second world war meant a decrease in food consumption, but by the 1960s food became plentiful again and, within a decade, levels of obesity had risen sharply. A problem that was originally limited to rich western countries is now sweeping across the globe. 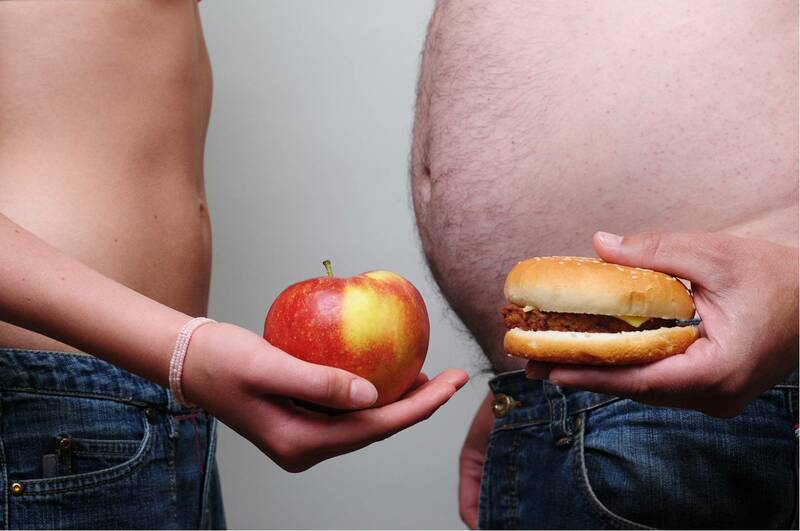 An estimated 500 million people across the world are now classed as obese. In the UK, one in four is currently obese and this figure is predicted to rise to 40% by 2030. Across the Atlantic it is even worse – a third of adults are already obese and this is expected to rise to half within 20 years. It is estimated that obesity-related problems now account for between 2% and 6% of health care costs in most countries. With the increasing availability of fast food, this global issue needs to be urgently addressed. Researchers at The Lancet believe tough legislation is needed, such as a tax on unhealthy food and drinks and traffic light labelling on food. This would ultimately save money by reducing health care costs. Hungary has just introduced a tax on pre-packaged foods containing high salt and sugar content, such as crisps and chocolates; similar taxes are already in place in Finland and Norway. Restrictions on junk food advertising and school-based education are also recommended by the researchers. So how will our health benefit if we reduce weight to within a healthy range? Being obese can put you at risk of developing high blood pressure, heart disease, type 2 diabetes, osteoarthritis in weight-bearing joints, sleep apnoea and heartburn and urinary stress incontinence. Residents in Walmley are advised that a simple first step to reducing your weight is to reduce consumption of sugary foods and drinks and fatty foods, whilst eating plenty of fresh fruit and vegetables. It must also be noted that under eating to achieve a ‘size zero’ figure is not a healthy aim. All things in moderation for a happy and healthy life!